A Philadelphia Eagles fan is probably waking up with a bit of a headache after slamming into a pillar on Sunday. Watch the video. 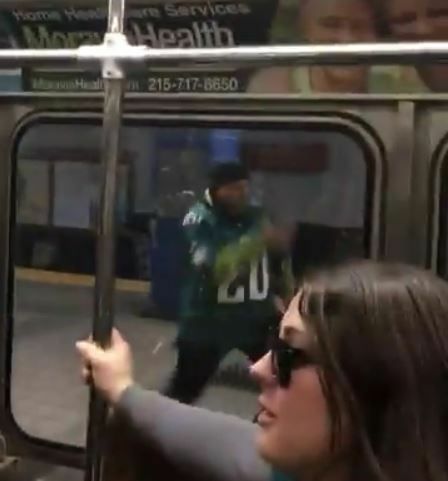 WASHINGTON — A Philadelphia Eagles fan is probably waking up with a bit of a headache after slamming into a pillar on Sunday. The now-viral moment was caught on camera, when the man tried to run alongside a subway car. Inside the train, passengers erupted after he smashed full-speed into the pillar. There’s no word on the unidentified fan’s condition, though he was undoubtedly excited over the Eagles’ 38-7 win over the Vikings.